I’d been hearing a lot of news that District Dining had been shut down and transformed into Mexico Food and Liquor, there were plenty of good reviews going around so I decided to visit during a work lunch when Miss K was visiting. 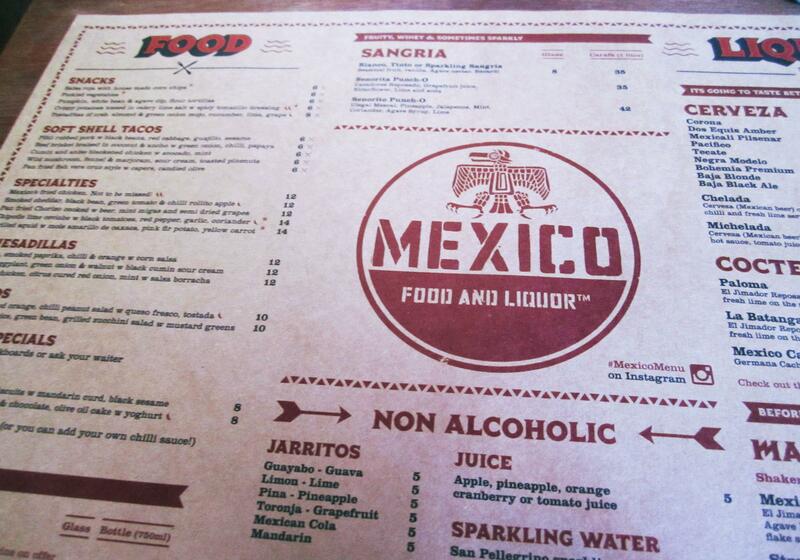 They have a very extensive menu and a new revamped interior with a lot of Mexican themed decor. Since it was the middle of the day we didn’t end up with any alcohol but the list was definitely long and enticing. 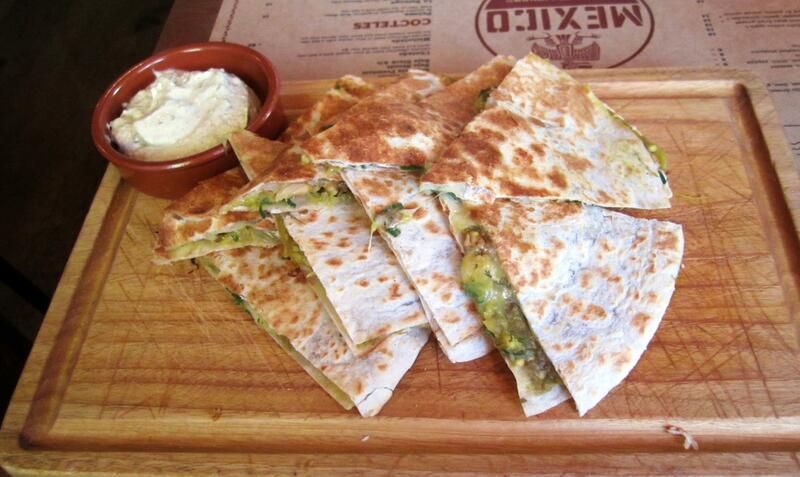 Out first dish to arrive was the Quesadilla with roast eggplant, green onion & walnut and sour cream. The first thing I noticed was that they used the same kitchenware as District Dining, though that’s me being an old fan 🙂 Having not had a Quesadilla in a long time I was pleasantly surprised that this one was absolutely delicious with the very tasty sour cream. 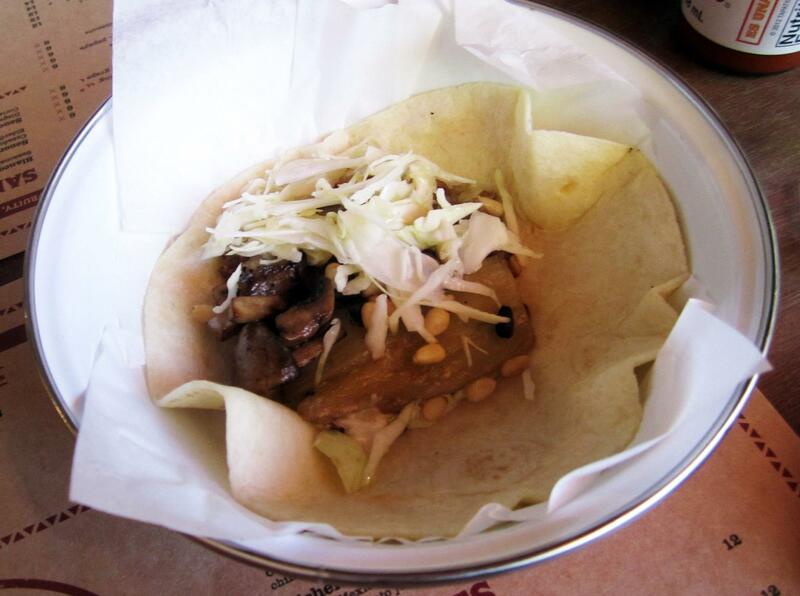 When I saw that they were doing mushroom tacos I had to order it, Miss K would never forgive me for not giving this one a go. 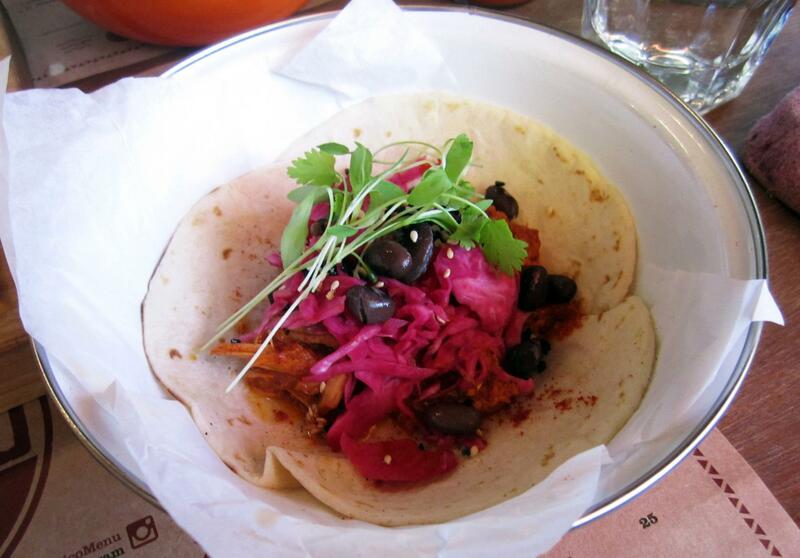 Glad to say that although there was no meat the taco was delicious and full of flavours. 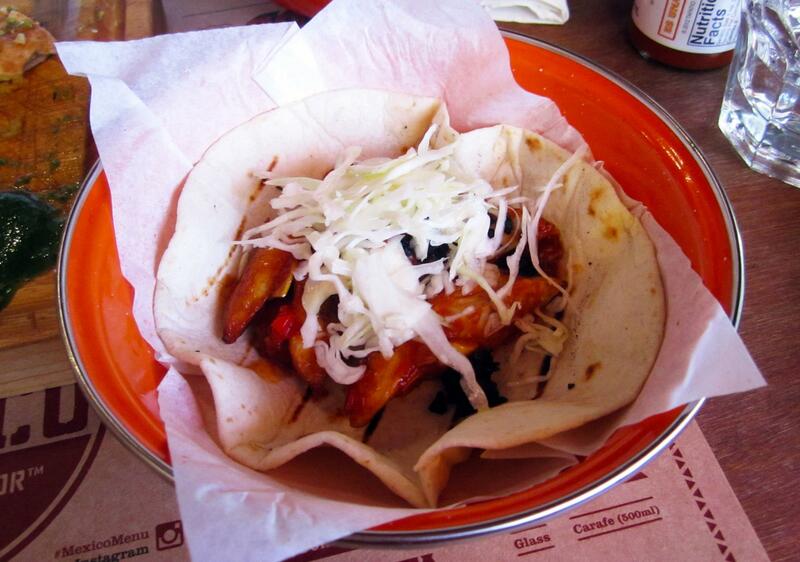 Next time we visit I might just order more than one of these! The best part is that the place is really easy to get to since it’s right next to central station, perfect since we’ll be back at uni this year only 5 minutes away!